Nebulas is a next-generation blockchain that delivers users information within the ever-increasing blockchain landscape. By offering interoperability across blockchains, it allows developers to integrate directly into Nebulas’s search framework. 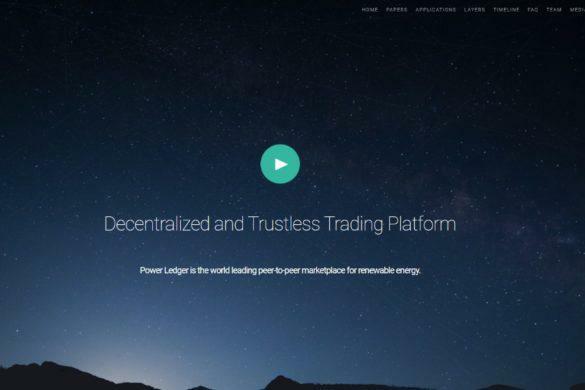 In other words, it is meant to be a search engine for the blockchain and smart contracts. Nebulas is committed to exploring hidden dimensions of blockchain value and building value-based blockchain operating systems, search engines, and other related applications. Update: The Nebulas Rank Yellow Paper is now public, expanding on the concept of Nebulas Rank. Nebulas is an open-source blockchain project that provides a decentralized search framework. 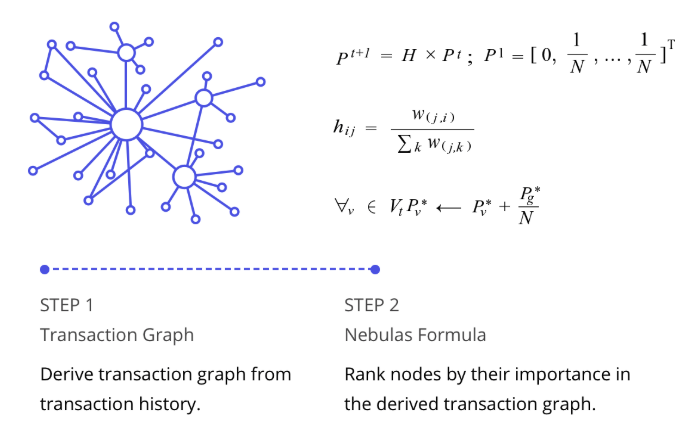 Similar to the way that Google ranks websites in their search engine results with PageRank, Nebulas will allow users to quickly navigate to the most relevant information on the blockchain with Nebulas Rank. Another aspect of Nebulas is its elimination of hard forks, or changes in the protocol of the blockchain system. 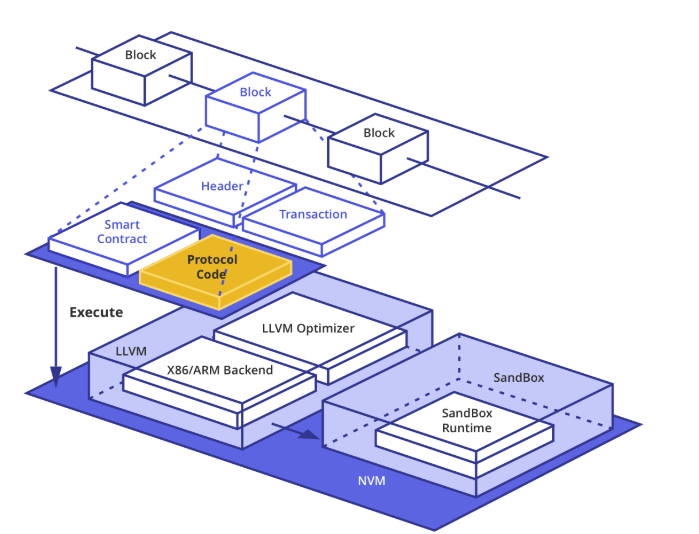 Nebulas’ well-architectued system allows it to “self-evolve” with little outside assistance beyond base protocol, smart contracts, and developer’s upgrades. 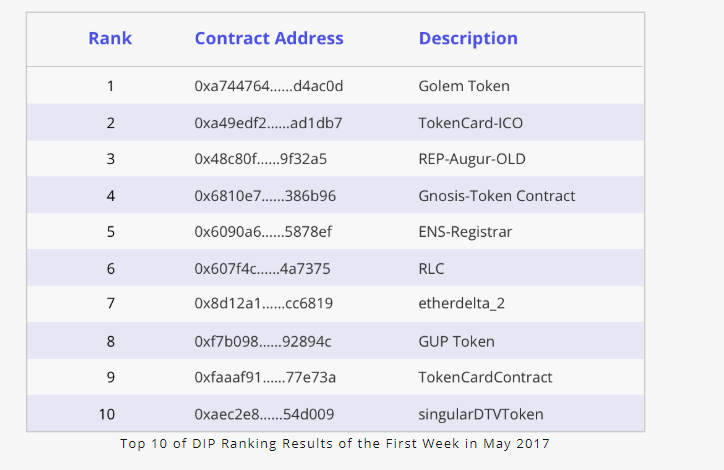 In addition, it rewards these smart contract and DApp developers with high ranks. Rather than Proof of Work (PoW) or Proof of Stake (PoS), Nebulas allows for Proof of Devotion, rewarding participants who are greatly devoted to the system and allowing them to be bookkeepers. The team includes Hitters Xu, an early member of the blockchain community in China, who started BitsClub.io in 2013, a non-profit blockchain community project. He joined Ant Financial in 2016, a financial affiliate of Alibaba, and founded the NEO blockchain shortly after with Robin Zhong and Aero Wang. Before that, Hitters was an Anti-Webspam Team Member at Google. Robin was instrumental in building Ant Financial’s blockchain platform and was also the former Senior Development Director of Dolphin Browser. He is currently the CTO of Nebulas. Aero is a serial entrepreneur in the blockchain industry, as well as the former NEO co-founder with Hitters. 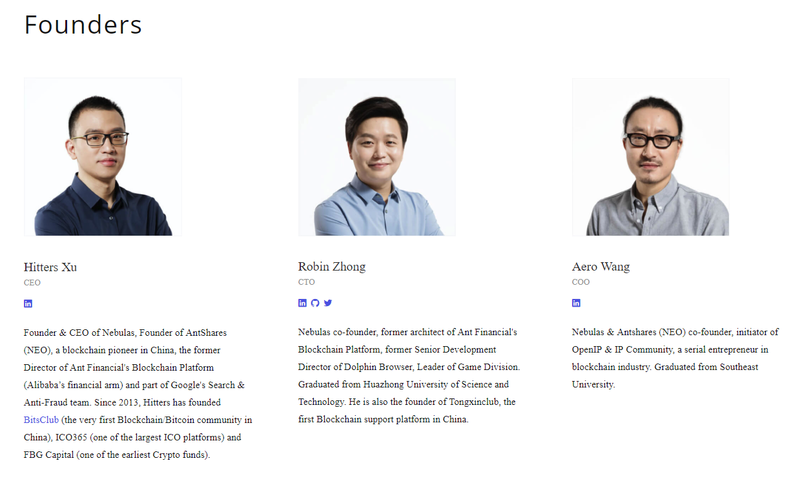 Nebulas has a number of important strategic partnerships, including ones with investment companies such as Tencent and blockchain based capital markets such as FBG Capital. At the beginning of the year, Nebulas announced a partnership with GIFTO, a blockchain virtual gifting platform. It is one of the largest live-streaming applications in the world with over 30 million users. Shortly afterwards, Nebulas announced a new strategic partnership with MoboTap (Dolphin Browser), a multinational mobile technology developer. MoboTap is known for developing the world’s leading mobile web browser, Dolphin Browser, used by over 200 million users across 130 countries. The partnership will ensure that MoboTap incorporates Nebula’s blockchain and search framework within its browser. In May Nebulas also announced a partnership with CertiK, a formal verification network to ensure smart contracts deployed on Nebulas are secure, reliable, and resistant to attacks. After the token was sold for an ICO price of $2.00 in December of last year, it rose to $14.52 by early January. Later in April, it also peaked at $11.70. 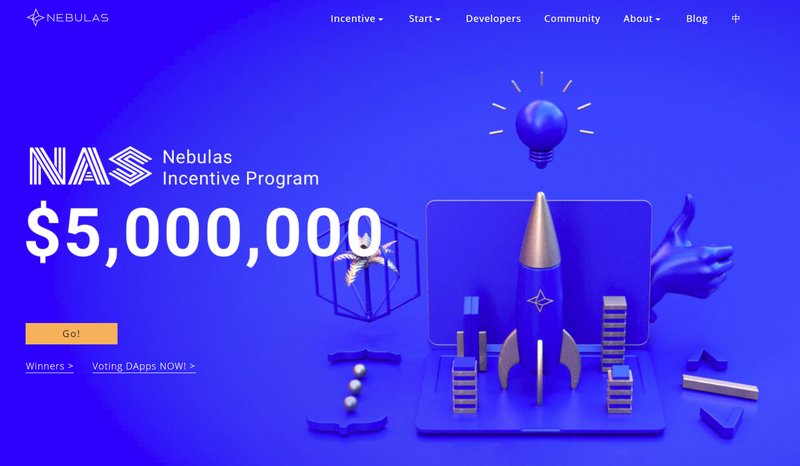 The Nebulas technology comprises three main components: Nebulas Rank, Nebulas Force, and Nebulas Incentive. Nebulas Rank, or NR, is the core ranking algorithm. It is an open-sourced algorithm based on three factors: liquidity, the increase in user’s assets and user interactivity. NR’s algorithm ranks addresses, smart contracts, decentralized applications (DApps) and other entities on the blockchain. Nebulas Force, or NF, allows the Nebulas blockchain and its distributed applications to self-evolve. That means that NF developers are able to make changes, add new technologies and fix bugs without the need for a hard fork. 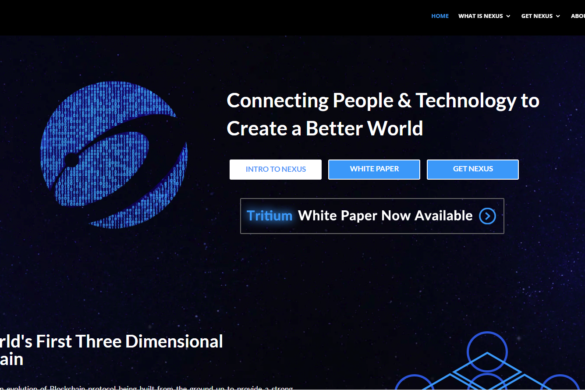 The Nebular Force also has within it the Nebular Virtual Machine, which supports developers in the development of their own smart contracts and applications. The Native Incentive, or NI, of the Nebulas technology includes Developer Incentive Protocol (DIP) and Proof of Devotion (PoD). DIP is a feedback loop for developers to create high-quality distributed applications. PoD allows high-ranking users to be rewarded with NAS tokens. Update: The Nebulas Rank Yellow Paper is now public. The recently released Nebulas Rank Yellow Paper expands upon the algorithms used to determine the Nebulas Rank. The algorithm takes into consideration the amount of currency in circulation and the contribution of accounts on both the micro and macro level to the aggregate economy. In addition, a Wilbur function was developed to guarantee fairness and resist manipulation by attackers. Core Nebulas Rank – This ranking measures the median value of assets of a factor account over a certain period of time as well as measuring the degree of access of the account within a certain period of time. Extended Nebulas Rank – Based on the Core Nebulas Rank, this ranking guarantees continuous incentives to the entire Nebulas system under different use cases. For example, some applications need multi-dimensional data to compute correlations between different data on a chain. Extended Nebulas Rank can help gather data from different sources. The broader goal of the improved algorithm is to apply it to cross-chain data exchange, digital asset transfer, and to measure individual and organizational contribution to a community’s growth. Nebulas has a native token, the NAS, which is currently transitioning from an ERC-20 token to a Nebulas blockchain-based one. The NAS token has two roles. First, it functions as a source of value, providing liquidity among users. It is the incentive token for PoD bookkeepers and DIP. Secondly, NAS will be used as the calculation fee for running smart contracts. The token swap for the new NAS token is currently available on several exchanges, such as Gate.io, Huobi Pro, and Binance. These exchanges no longer support the exchange of the ERC-20 token, however. Nebula’s mobile wallet will however support the exchange of the ERC-20 tokens after the mainnet launch. The main way to purchase NAS is through Huobi, either with BTC, USDT, ETH or BTC. Huobi is the exchange with the largest volume of NAS currently available on the market. 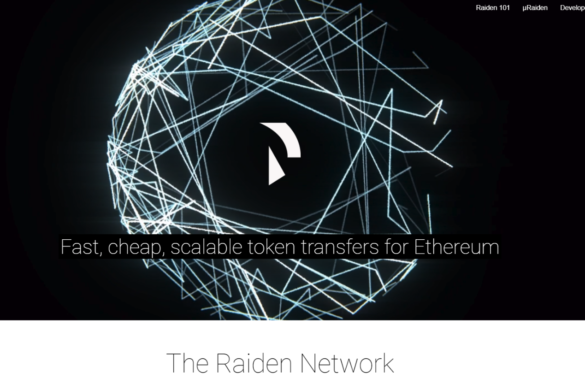 It recently announced it is available on Binance as well, although it will not accept NAS ERC20 tokens, but rather the mainnnet ones. It is important to note that several exchanges such as Huobi Pro and Gate.io also support the NAS token swap that will take place until the mainnet is launched. These exchanges, however, no longer support the exchange of NAS ERC-20 tokens. For now, you can store NAS in any wallet that supports ERC-20 tokens such as Coinomi, MetaMask and Myetherwallet. For maximum security, however, you should store your NAS on hardware wallets such as Ledger Nano S and Trezor. 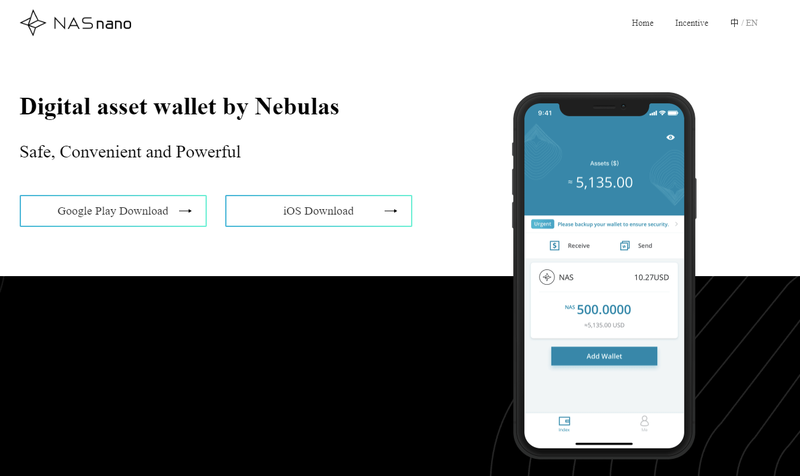 In addition, Nebulas has its own mobile wallet, the NASnano, which is accessible from their website. 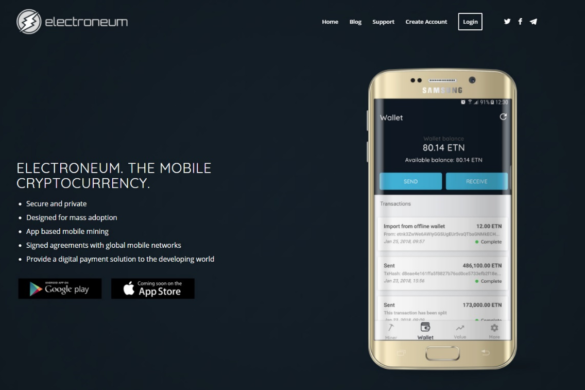 It also supports web wallets via its Chrome extension. Nebulas had their testnet online at the end of the year and developed a Nebulas wallet for desktop and mobile at the beginning of 2018. Update: The company has released its mainnet Eagle Nebula 2.0 and is improving mainnet functionalitiies. 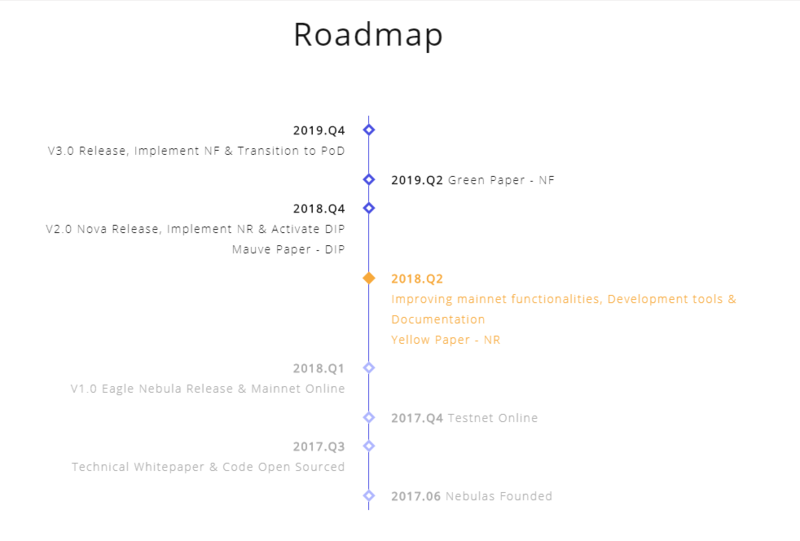 It has also released its Yellow Paper on Nebulas Rank. Future goals include fully functional and improved Nebulas Rank, Nebulas Force and PoD implementation as well as scalability for large transaction volumes.